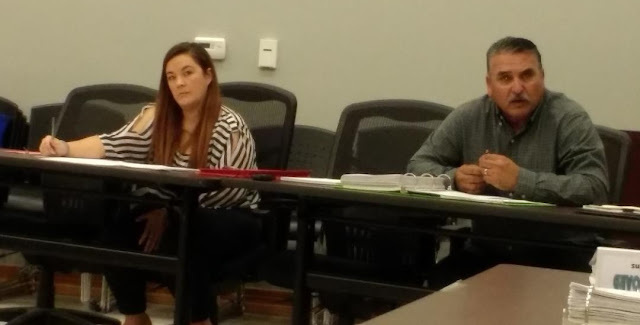 At the January 22, 2018 meeting of the City of Rockport's Parks & Leisure Services Advisory Board, Parks Director, Rick Martinez gave an update on the status of all of the Rockport parks, including the Community Aquatic and Skate Park, which is jointly owned by Aransas County, the Town of Fulton, and the City of Rockport. The Aquatic and Skate Park is fully operational as of November 1 with more than 95% of the damage repaired. While attendance is down a bit, some of that is attributed to bad weather and the need to replace the heater. Damaged by Harvey, the heater will be replaced using hurricane recovery funds. This will eliminate the problems that have made the pool either too cold or too hot during the winter months. Zachery Taylor Park and Mathis Park received minimal damage and are open. A large tree limb that fell at Taylor Park may be used to create memorabilia for sale or used in some other way to honor the tree. Spencer Park, where a new Spaceball playscape had been installed just a few months before the hurricane, received almost no damage and the playscape is fully functional. (See related article http://www.wwnrockport.com/2017/05/city-of-rockport-city-announces-changes.html). Compass Rose Park lost most of its palm trees, which have been removed, and both Magnolia Park and McDonald's Park has been cleaned up. Martinez expects to use some donated palm trees, currently being stored at the city property on Corpus Christi Street, to replace the palms. The Tule Parks still need work, including repairs to fencing and shelters. The city will work with Aransas Pathways to repair the pavillion and clean up both the east and west sides, including the demonstration garden. Pathways received a grant from the Texas Ornithological Society to build sections of privacy fencing and construct a bird drip, as well as restore lost understory, while FEMA will repair the roofs and pavillions. Clean up continues. The Tule Creek Hike and Bike trails are open although there is still some clean up. There, and at the Ivy Lane birding sites, some debris is being left for habitat where it doesn't create a safety issue. The front part of Memorial Park has had a lot of work completed. The Little League fields were rebuilt on January 13 by volunteers from various groups, including professional and college athletic teams from around the state. LED lighting has been installed for all city operated lights. These are more energy efficient and provide better visibility across the fields. The city is working with architects from the Sid Richardson Foundation on layouts to move ball fields for better orientation (so that the sun is not in the player's eyes). After the current Little League baseball season, work will be done on the concession stands, bathrooms, and viewer seating. The walking trails at the front of the park should be open by late March. No real work has begun on the back of the park, including the dog park, which remains closed. All of Rockport's parks need landscaping work, which will be done in the future, but every place is getting better and work continues every day.